Do I Really Need a Specialist Hearcare Partner? Are You Paying Too Much VAT? What is an 'Earn Out' and when is it appropriate? We are delighted to have just completed on the sale of a practice in a rural market town with has a strong local community which is expected to grow with a large development of new homes. The business is situated on a prominent position on the high street and is known locally as a quality brand and experienced staff. Offering shared care and domiciliary services, the business has been purchased by a family team with another independent business. We are delighted to confirm we have completed a sale of a two-branch practice in Yorkshire. Previously owned by a DO team, the business is now owned by an independent optometrist who is based in Yorkshire. The vendors have had a long-term relationship with Myers La Roche and entrusted us with the acquisition of their business. The vendors were keen for the practice to be sold to someone who does not own a large number of practices, an aspiration which we were able to meet on their behalf. Myers La Roche have been involved with the owners of this practice as this was sold to them through Myers La Roche a number of years ago. The vendors chose to use Myers La Roche to act on their behalf as they knew the process and knew Myers La Roche would protect their interests and act fairly for all parties involved. A successful completion in a timely manner. A successful completion of a profitable practice within the M25. The vendor previously had a private sale which fell through before contacting Myers La Roche. The vendor was extremely pleased to learn his practice has been undervalued by the previous purchasers and went on to successfully complete on the sale for over the previously agreed price. We have just completed on this part time practice which is located in an affluent and popular suburb. The practice was previously DO led and relied on locums for testing. The Vendor was able to accept a realistic price for the business, thus securing a reliable tenant for a steady future income. The purchaser who has just one other practice, again secured through Myers La Roche, will be able to give the practice the investment it needs to allow it to thrive and grow. This thriving business, with a T/O of c. £865k was established by the vendor in 1981 and we are delighted to have worked with them as long term clients of Patrick Myers. The practice has an excellent clinical reputation and an impressive average dispense rate and value. A sale was achieved without having to advertise it on the open market, retaining complete confidentiality for the vendors. It was sold to an existing independent optical business owner as part of their continued expansion plans, with the vendor being retained on a locum basis before full retirement in a couple of years. The vendor retains the freehold of the building and a new lease has been agreed, allowing an additional income stream for them. The vendors of this well established practice, located in a town to the East of Manchester, are looking forward to their well deserved long haul holiday next week as the first stage of their retirement. They have owned the business since 1985, building a strong reputation and client base. The business sold for 94% of the last recorded turnover, highlighting the excellent level of profitability that it returns. It has been purchased by a first time buyer Optometrist. The practice sales team are delighted to complete on the sale of this old established brass plate, house style practice which is situated in the primary shopping area in an affluent part of North London. The business has been sold to another husband and wife team who are first time buyers. They are looking forward to developing the business in order to maximise the return on their investment. The practice sales team were instrumental in driving the sale to completion by coordinating the many different parties involved in tricky lease negotiations. This was the sale of a smaller branch belonging to a small optical group in order to rationalise their portfolio. The practice is located in a medium sized town and has super opportunity for the purchaser, a first time buyer Optometrist, who plans to work in the business himself. The vendors owned the freehold and a new lease has been agreed with the purchaser. This sale achieved a planned early retirement for our Vendor. The practice is located in a desirable and affluent town and had a recent shopfit, allowing us to achieve a premium based on location and future potential. We were able to complete a confidential sale, without openly advertising the practice, to a local 'best fit' purchaser who we have worked with on 2 prior sales. 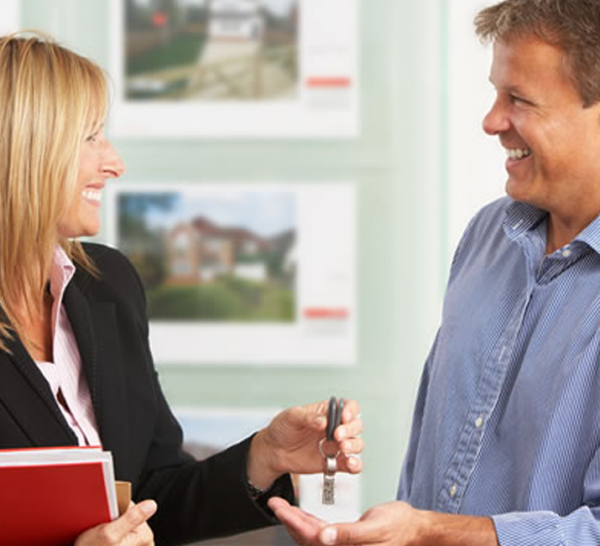 The purchaser is in an excellent position to capitalise on the potential offered by the business. The practice sales team have just managed a sale completion for the vendor of a solus practice located in the north east of England. Established over 30 years ago by the vendor, the practice prides itself on delivering high quality eye care with a good array of additional services and a super range of eyewear products to match. The turnover of £555k reflected the commitment to the business by the vendor and their staff. Always a relief to a vendor, the practice remains in good hands with a purchaser who shares the same ethos of independent values and service. They are a long term client of Myers La Roche who has bought and built a practice in central England prior to selling through us in order to relocate and purchase again near their original home. Achieving a great balance between your business and personal life is key to growth in each. In an article originally published in the 25 January edition of Optician, our Director, Dom Watson outlines seven ways to ensure a healthy business and a happy mind.